Welcome to Real Family Fun link party! I'm so glad to have you here today. Thanks for joining the party this week! Just in case you missed last week's features, you can check those out at Real Fun Features #22. So, this week rather than filling you in on our life, I wanted to ask you a question. I've never lived in one house as an adult for this long. We have now lived in this house for 6.5 years. The house is driving me nuts. We have always moved every 2 years or so and purged every time we move. It is so nice to move and purge. Without it, the house is beginning to feel like we are overrun with stuff even though I'm good at organizing. I feel like the walls are closing in on me and all our crap. I totally need to do a whole house overhaul of purging and organizing, which I'm going to work on room by room, but I'm wondering something else. Have you been in my shoes? I'm thinking of doing a whole bunch of projects around the house. Good time consuming DIY projects (painting, removing chair rail, painting the fireplace or covering it with river rock, etc). Nothing too hard or anything, but things that make the house more what I want as opposed to a place we are living for 2 years before moving again. Will this help me? Or do you think I will end up having spent all the time and money and still feel the same way about my house? What do you think? This week I have been all over cyberspace…did you catch me zinging around? 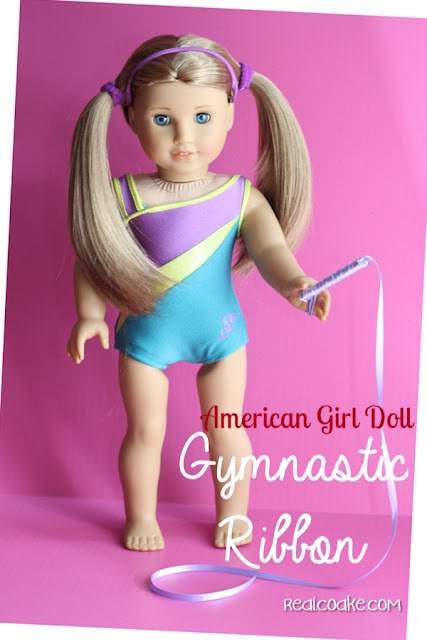 First, I guest posted at The Frugal Girls with a cute and simple American Girl Craft. Isn't it so cute? To see the tutorial head on over to The Frugal Girls – American Girl Doll Craft: DIY Gymnastic Ribbon! I also guest posted at Living Well Spending Less. 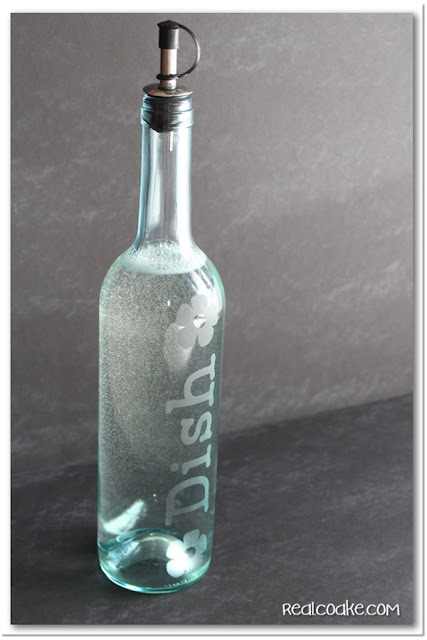 I showed a tutorial on making a cute dish soap dispenser using etching cream and a wine bottle. On the blog this week, I shared my latest family fun idea. This time I've got a summer fun water game for the whole family. 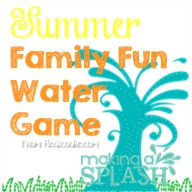 Splish Splash ~ Summer Family Fun Water Game – it is the perfect game for a hot summer day. Your welcome! Thanks for joining in this week. Thanks for joining in again this week, Brenda! Have a great week. Your welcome! Glad to have you here again this week. Hi KC! Thank You for hosting the party! Hope you are your family are having a great week so far! Thanks for linking up again this week, Lizbeth. Thanks so much for hosting again this week KC! Hope you are having a great week! Thank you so much for hosting such a great link party! I love the inspirations that come from this! I love the inspiration that comes from the party as well…sure is fun! Just thinking of moving and I get an instant headache! And it’s not that we have too many things (It’s still only me and my second half and the cat)…. LOL! I’ve moved too many times for the instant headache, but a big purge is in order and is now in progress…my house is a disaster, but it will be worth it in the end. Thanks for hosting (as always), KC! Hope your summer is going well. Enjoy your weekend! So glad to have you link up again this week, Brooke. Hope you had a great weekend.